Vancouver mobile app development company. Combining functionality with world-class design is our specialty. At Vancouver Web Designs, our iPhone and Android app developers take your idea and build it into the mobile application that you and your users will love. Our web and mobile app development agency that provides strategy, design and development assistance to help our clients create awesome applications. Our team of developers, designers and strategists serves the globe through our offices located in Vancouver BC Canada. Our focus is on product driven apps and mobile projects and campaign driven apps and websites. We passionately pursue the cutting edge of mobile apps, we are always striving to produce the most advanced, beautiful and functional user experience possible. 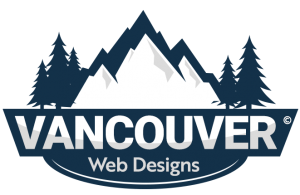 Here at Vancouver Web Designs, we aim to help you create something functional and beautiful that will change the world. Our Vancouver mobile app development specialists work under the same roof as our parent company Allegra, ensuring clear and open communication between team members and our clients. Call us today at tel:6048751919 to set up a free mobile app development consultation.